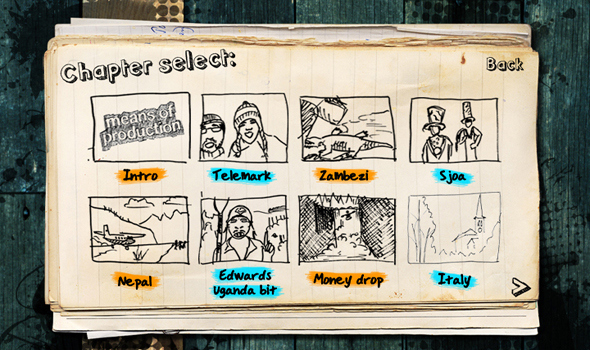 Creative artwork, storyboarding and merchandise for the movie series 'Means of Production'. 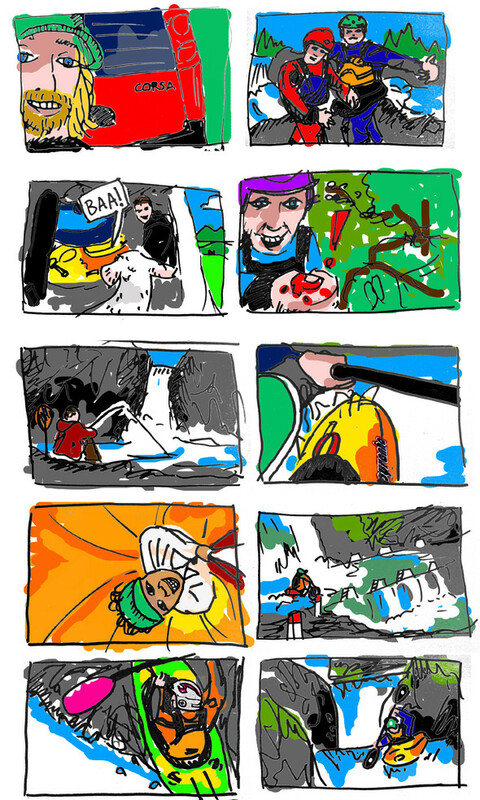 To support the movies' satirical take on whitewater kayaking, I illustrated scenes from the movies in a comic book style. 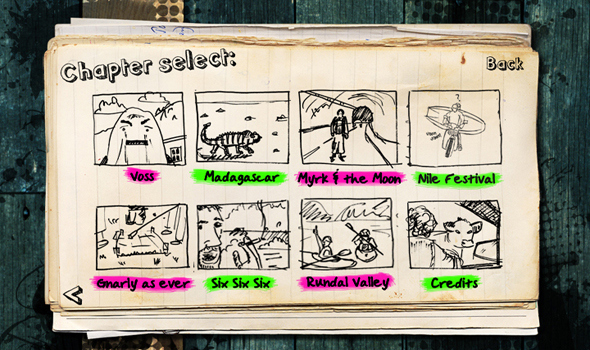 This artwork appeared throughout the movies, as DVD artwork, on event posters and as part of a clothing range. The movies were on sale in the UK and the US for a number of years and are currently being shown in-flight on Air New Zealand.